With a broad range of experiences in higher education and student affairs spanning nearly 20 years, Mr. Jesse Kane has been instrumental in the design and implementation of programs and services that foster and promote student success, particularly for students of color. Much of his work has focused on the impact of high-quality engagement opportunities on student success outcomes such as persistence, retention and graduation rates. Mr. Kane is committed to working collaboratively with faculty and staff to create student-centered living and learning environments that help foster and support the educational goals and holistic development students. Mr. Kane recently worked at another 1890 land-grant institution, the University of Maryland Eastern Shore, where he served as the Interim Associate Vice President for Enrollment Management within the Division of Academic Affairs. In this role, he was responsible for strategic enrollment planning and management, forging strong connections between academic planning, admissions, financial aid, registration and retention. 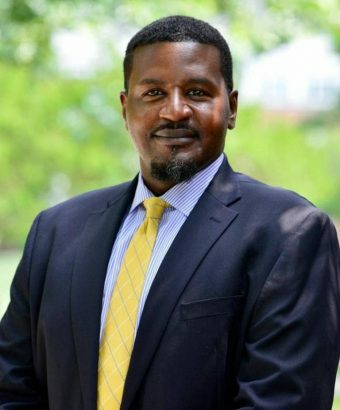 Mr. Kane previously served as Vice President for Student Affairs/Dean of Students at Dakota State University and Dean of Campus Life at Bowie State University. A native of Baltimore, Maryland, Mr. Kane earned undergraduate and graduate degrees from Bowie State University. He is currently completing a doctorate in higher education administration from Morgan State University. Mr. Kane is joining the Fort Valley State community with his wife, Cara.